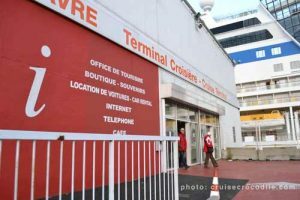 Our Le Havre cruise port guide gives you information about the docking location, cruise dock, transportation options and much more! 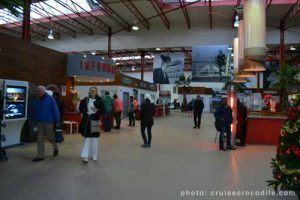 Welcome to the cruise port guide Le Havre – France. 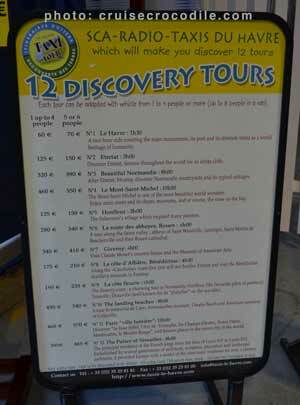 Over 250.000 tourists visit Le Havre by cruise ship every single year. It is a popular destination because you can venture out to Paris, Rouen, Versailles, the Landing Beaches and lots of other places of interest. 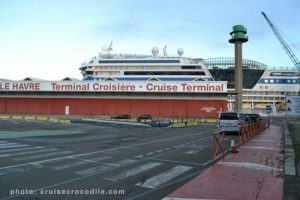 Check out the Le Havre cruise port guide underneath to see where your ship will dock and how to get out and about. 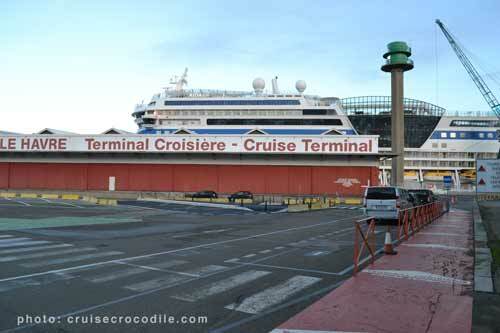 At the port of Le Havre you’ll find several cruise docks close to the cruise terminal. The taxi prices are on display at the cruise terminal. Le Havre cruise terminal is a large building with lots of facilities. Inside the cruise terminal you will find tourist information, wi-fi and souvenir shops. -Tourist information centre: ask the locals for their tips and trips and pick up your tourist map. Find Le Havre city center about 2,5 km from the cruise terminal. Check with the front office on board your ship if you are free to walk to the city center because this is not always the case. 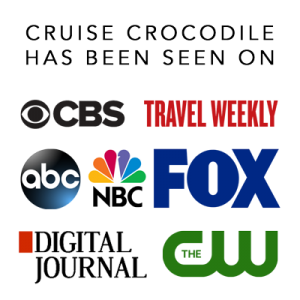 There is usually a shuttle service that is either arranged by your cruise line or by the port. The shuttle bus will bring you from Le Havre cruise terminal to the city center. If you are planning on travelling with local public transportation we recommend you to schedule your trip with: http://www.commentjyvais.fr/en/ Local public transportation is abundant and can take you anywhere as long as you plan ahead. The busstation is about a 20 minute walk (2,5 km) from the cruise terminal. Plan your trip ahead of time. Find the local bus schedules on http://www.busverts.fr/index.php, Busses are operated by CTPO. Le Havre has a train station and from here you can take the train to Rouen or Paris! Find the train station about 2,5 km or 20 minute walk from the cruise terminal. See its exact location marked in the map above. The name of the station is Gare du Havre. The trains are operated by SNCF. Find their schedules on www.voyages-sncf.com. Cruise ships dock at a seperate part of Le Havre’s port. There is a cruise terminal that will offer great facilities to our cruisers. Read the full Le Havre cruise port guide here to learn more about your transportation options and services in port.